(A 2014 Newbery Honor Book, as well as a Bank Street College of Education Best Book of the Year and a BookPage Best Children's Book) Little Man throws the meanest fastball in town. But talking is a whole different ball game; he can barely say a word without stuttering—not even his own name. So when he takes over his best friend's paper route for the month of July, he's not exactly looking forward to interacting with the customers, although it's the neighborhood junkman—a bully and thief—who stirs up real trouble in Little Man's life. 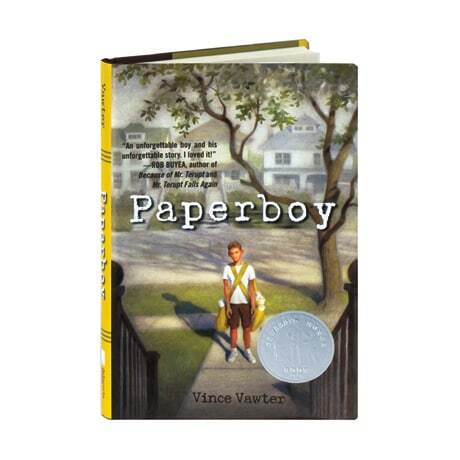 Vince Vawter's debut novel, for readers 11 to 14, is the moving, page-turning story of a boy and his struggle to speak.